Hill Street Beverage Company is the world’s most award-winning company exclusively focused on alcohol-free beer, wine, and adult format beverages. HillStreet’s great-tasting products include Hill Street Craft Brewed Lager, Designated Draft alcohol-free beer, Vin(Zero) wines, and Vintense wines, and have won numerous medals and accolades including three Gold, two Silver, and two Bronze Medals at the U.S. Open Beer Championships, the Retail Council of Canada’s Grand Prix award, and a prestigious Double Gold Medal at the San Francisco International Wine Challenge. 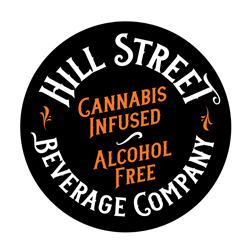 Hill Street will also produce and sell cannabis-infused adult beverages as soon as the sale of cannabis edibles becomes legal in Canada, expected to occur by October 17, 2019. Check out HillStreet’s award-winning line-up and order product to be delivered straight to your home at www.hillstreetbeverages.com.